Recognized for its quick and easy growth, the pothos plant makes a great houseplant for beginners and seasoned gardeners. Pothos, also known as devil’s ivy, closely resembles philodendron and exhibits similar growing habits and soil requirements. Pothos plants display mottled, heart-shaped leaves along twining stems. Like all houseplants, the pothos plant occasionally suffers from adverse conditions and neglect. Revive your dying pothos plant by supplying the necessary elements required for healthy growth. Prune away unhealthy sections of your dying pothos plant. Remove long sections of bare vines and segments containing dead or shriveled leaves. Use sharp scissors or small pruning shears, cleanly cutting away the damaged stems and leaves. Cut the wilting vines about 2 inches from the surface of the soil to encourage healthy, new growth and promote a bushier shape. Examine the remaining leaves on your dying pothos plant. Look for the appearance of a cottony substance on the undersides of leaves. This substance indicates the presence of mealy bugs. These destructive bugs damage many houseplants, including pothos plants. 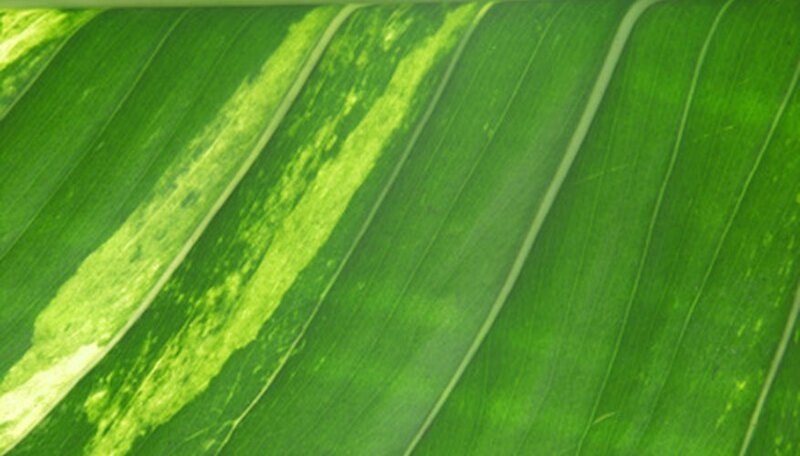 Spray affected plants with an insecticide soap. Apply the insecticide soap according to the manufacturer’s instructions. Re-pot your dying pothos vine to ensure adequate drainage and sufficient space for root growth. Select a pot with drainage holes in the bottom. Place a 1/2 inch layer of fine gravel in the bottom of the new pot. Place enough potting soil over the gravel to allow placement of the pothos plant’s root ball at a level just below the rim of the pot. Fill in gaps with potting soil and firm down with your fingers to remove air pockets. Set the pot in a drip tray to catch excess water. Water your pothos plant regularly. Allow the surface of the soil to dry out before watering this houseplant. Soak the entire root ball when applying water. Pour out any standing water from the drip tray to avoid pest problems. Fertilize your dying pothos plant to ensure adequate amounts of soil nutrients. Apply a general houseplant food periodically throughout the growing season. Follow the application instructions included with your plant food. Do not overfeed these houseplants. Save sections of healthy vines from your pruned segments. Sometimes pothos plants contain long sections of leafless stems with green, healthy portions near the outer tips. Cut these healthy segments from the dead vines and place in a tall glass of water to root out. Pothos plants easily propagate by stem cuttings. Place the glass in a sunny window to encourage quick root growth. Transplant these cuttings into soil once roots reach a length of 2 to 3 inches.